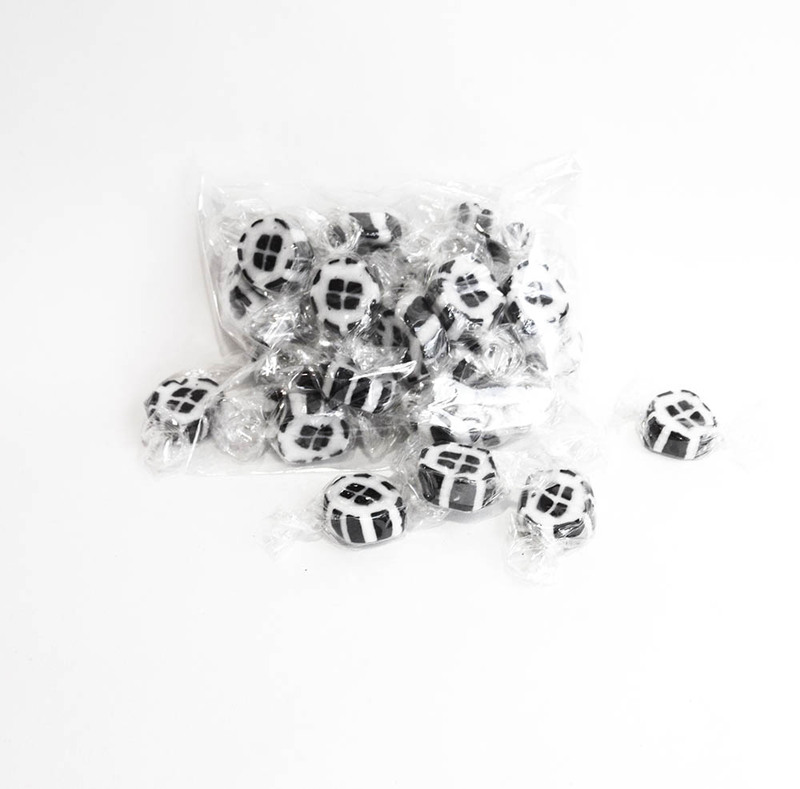 Cornish Flag of St Piran rock sweets, fruit flavour, glorious Cornish black and white and the St Piran Flag is in the centre! 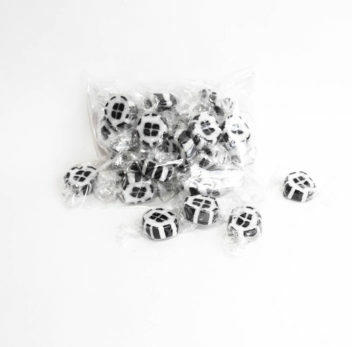 Candy rock sweets are in packs of 150g – approx 20 sweets – ideal Wedding favours for your ultimate Cornish Wedding! Please note: Due to customs restrictions we can only ship this product within the UK.